Love! I asked the kids in my 1st grade daughter's class to all write thank you notes. I'm going to make a book out of them. I think she will love it. I taught college classes for about the same amount of time and HATED it, too! I love that you received such heartfelt thanks and that you're doing the same with your kids. LOVE! Love the printable! My second grader had a student teacher this spring who just got a job on Friday in a district nearby. 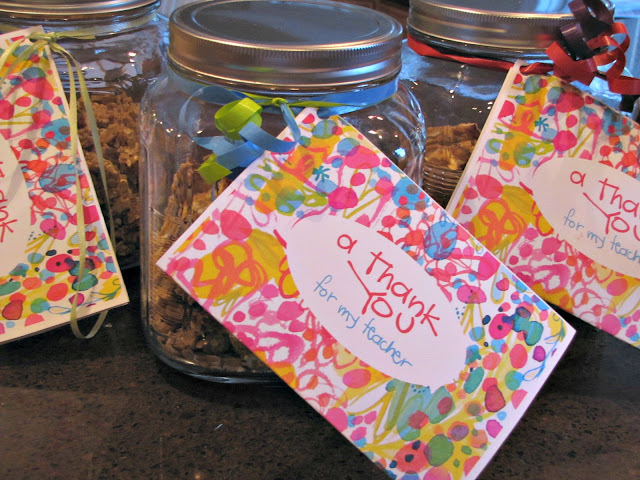 We put together a teacher survival kit with ideas from one on Pinterest for her first year. A pencil box with some new pens, chapstick, hand lotion, hand sanitizer, drink packets, EmergenC, ibuprofen, Angry Birds bandaids, a Luna bar - honestly I don't know how we packed it all in. 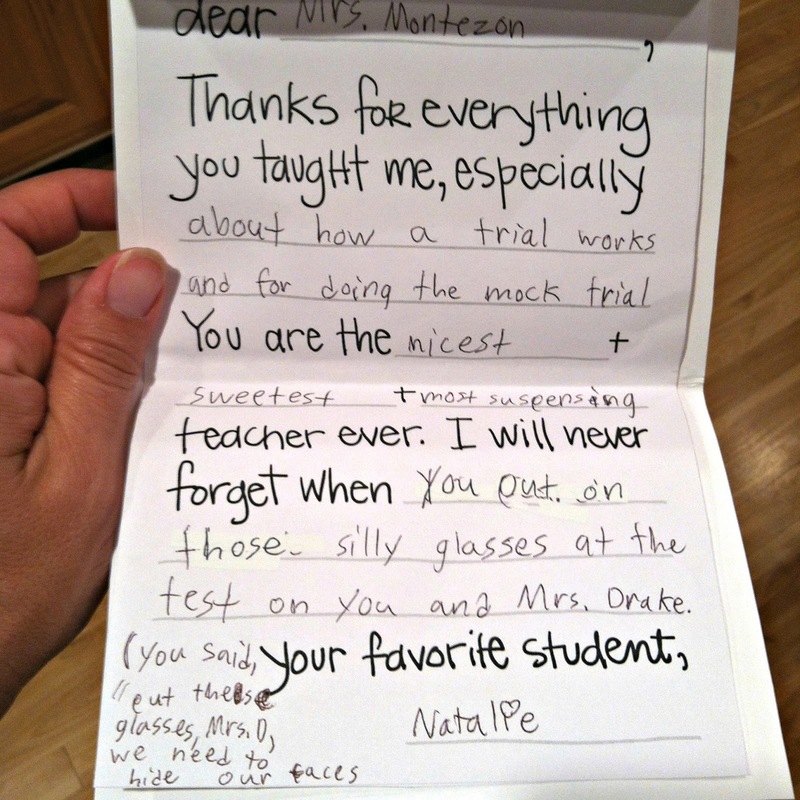 Then she wrote her a card saying thank you, and that she was going to be a great teacher. I only wish I could have been there today when she gave it to her! I'm helping her regular teacher get tshirts for the kids at an enormous discount and with artwork I did with help from my daughter. I suspect the 4th grader's teacher will get something to drink and a gift card. I'm having trouble choosing on that one because she spent half the year out on maternity leave and is actually pregnant again. What do you get the pregnant teacher you barely know? A Target card, I'm sure.